Arnold Sheldon Owens went home to be with his Lord on May 25, 2013 in Appleton, Wisconsin. Arnold was born on February 18, 1932 in Spavinaw, Oklahoma to Wesley and Winnie Owens, the youngest of nine children. At about age five, Arnold's family became a part of the Dust Bowl migration and ended up in Scotts Mills, Oregon. Arnold attended Scotts Mills Grade School and Molalla High School. He graduated from Linfield College in McMinnville, Oregon and became a lifelong educator, teaching in Maupin, Hermiston and Grants Pass. After retiring, he moved back to McMinnville where he was an avid supporter of Linfield College, especially the athletic department. If you could bounce it, hit it, kick it, or pass it, he was there to watch. Arnold is survived by his wife of 59 years, Marilyn, sons Larrey (Debbie) of Salem, Greg (Chris) of Bend, Marc (Lisa) of Albuquerque, NM; daughter Kimberly McGee (Ron) of Tualatin; nine grandchildren and three great grandchildren; brother Duane of Sherwood; sisters Era Schuman of Stanwood, WA and Lucille Smith of Gig Harbor, WA. He will be missed for his great smile, sense of humor, "quirky" sayings, love of learning and teaching, his faith and his loyalty. 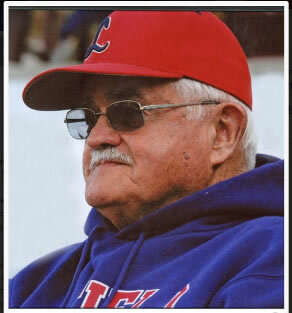 A Celebration of Arnie's life will be held on Friday, June 14, 2013 at 11:00 AM at the McMinnville Covenant Church. In lieu of flowers donations may be made in Arnold's name to Linfield College or the McMinnville Covenant Church in care of Macy & Son. Reprinted from the Macy and Son Funeral Directors web site, 135 NE Evans McMinnville, Oregon 97128 (503) 472-6151.